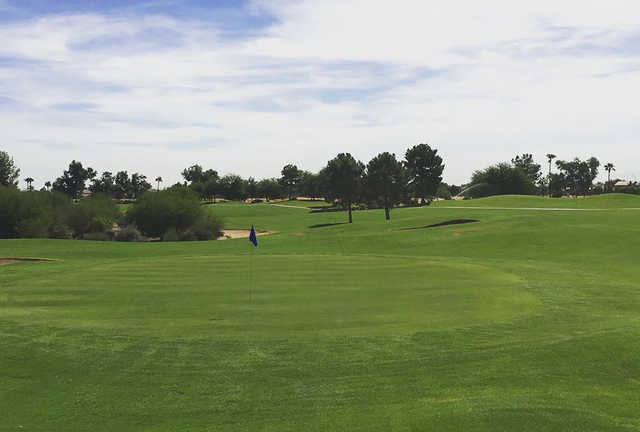 Arizona Traditions Golf Club in Surprise features a parkland style golf course that offers views of the neighboring White Tank Mountains. 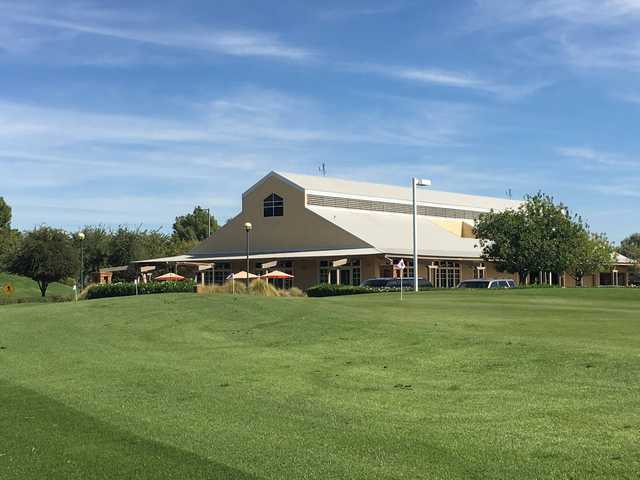 The rolling terrain provides gently undulating greens and fairways. Although there is little bunkering on the golf course, there is strategically contoured greenside and fairway mounding to provide challenges. 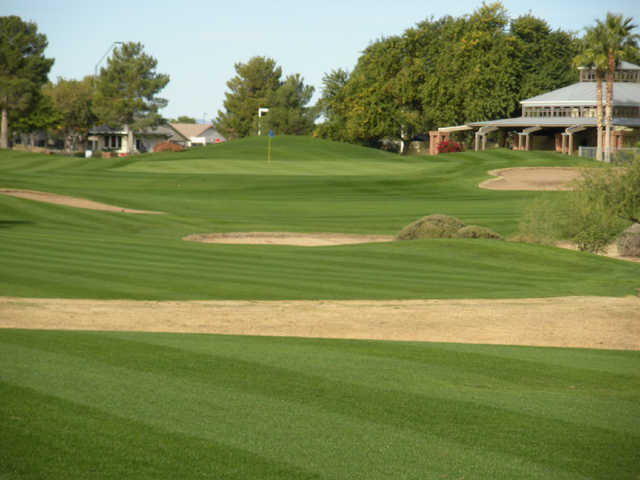 Arizona Traditions Golf Club's signature hole is the par-4 fifth hole, which features a water hazards that wraps around the front left of the green to the back right corner, collecting any approach shots that are short of the green. 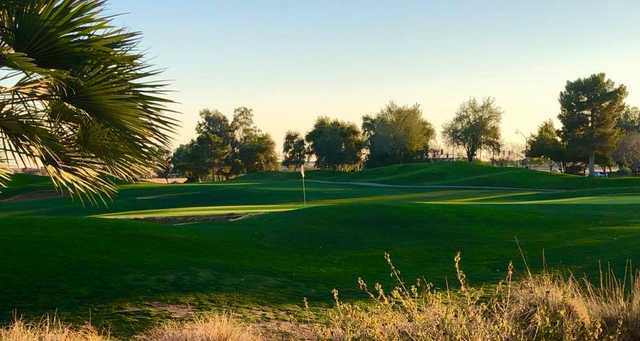 Dress code: Collared shirt, no cutoffs, denim ok.
For the price, I think this is the best golf course in the Surprise area, it is much greater than Great Eagle and Pueblo.